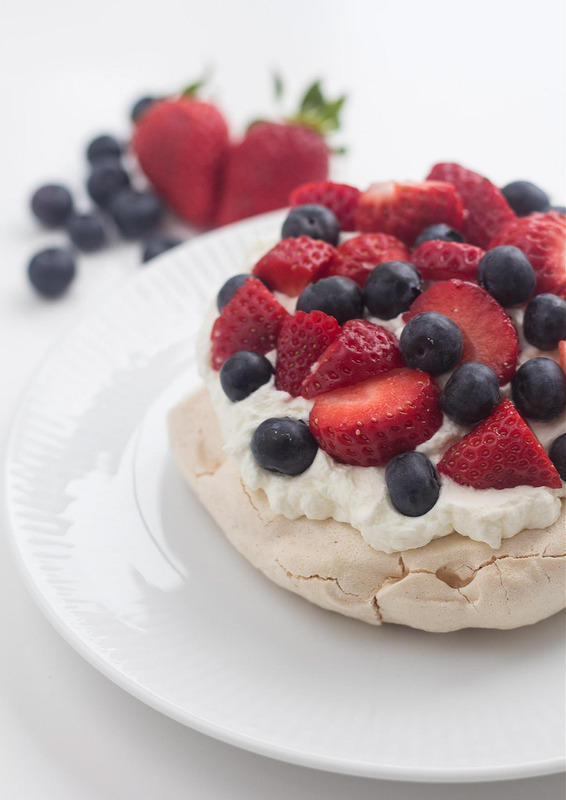 Pavlova is a wonderful summer recipe. This recipe is really easy to make and it only contains few ingredients – the preparation time is normally under 30 minutes. 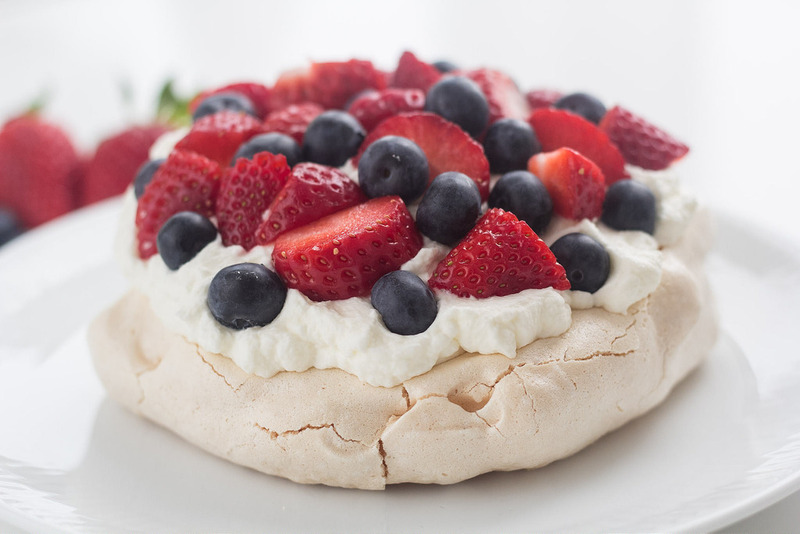 A Pavlova can be made in many different sizes and variations. 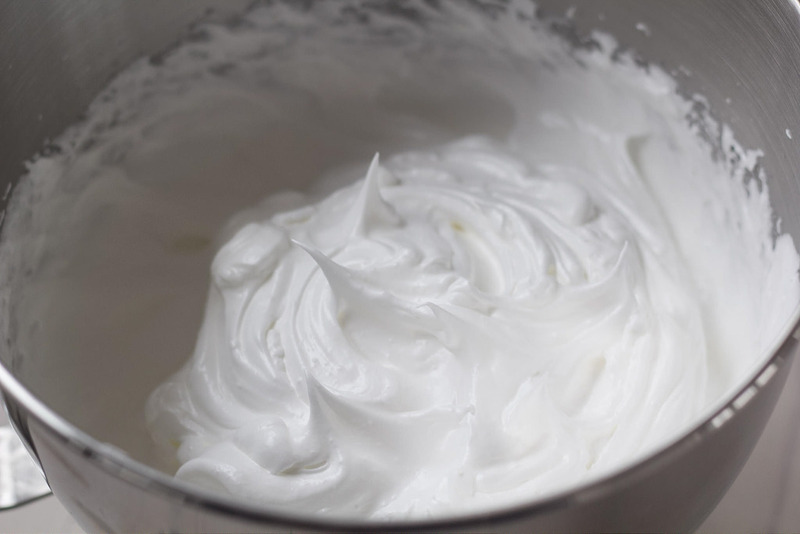 In this recipe we have been a bit nontraditional and made several cakes with a diameter of about 8 cm (3 inch) – this size fits perfectly as a single serving. Typically this cake is made as one larger cake. 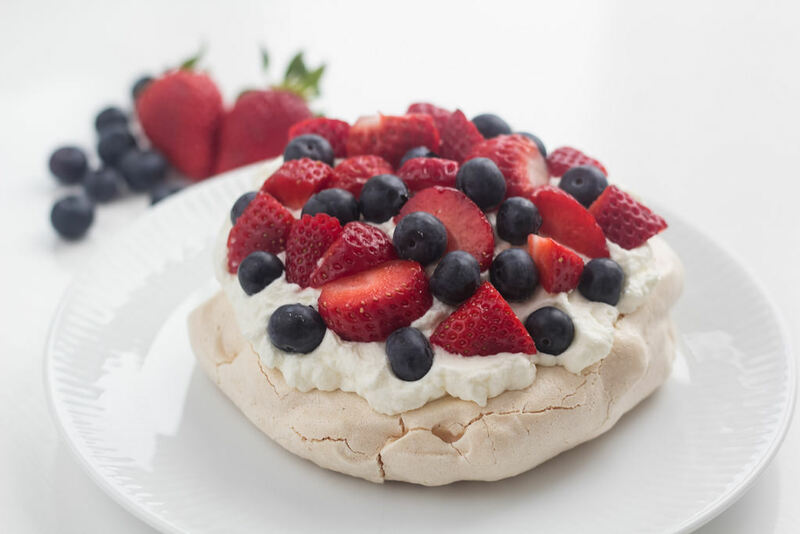 These Pavlovas are decorated with whipped cream, straw- and blueberries. We think this combination makes the cakes very colorful and gives them an amazing taste. If you haven’t tried this cake before we can absolutely recommend you to try it – it’s one of our favorite! 1. 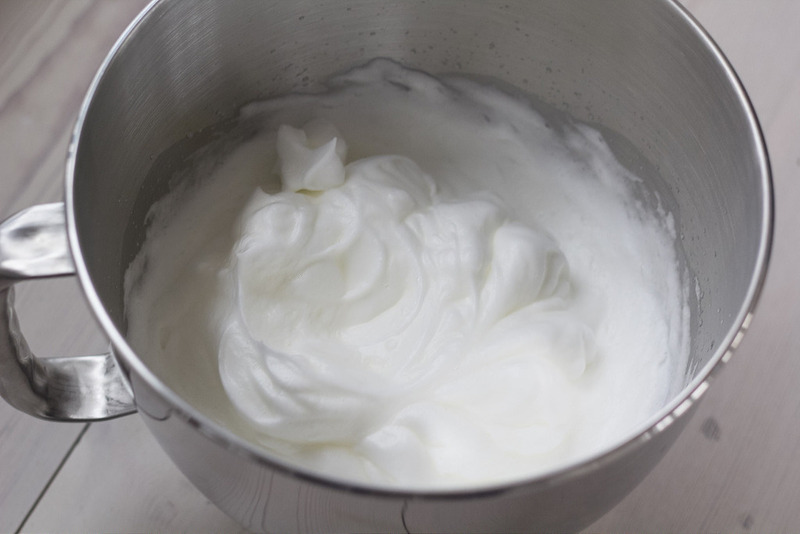 In a large bowl; Whisk the egg whites until they are completely stiff. 2. Stepwise add the sugar while whisking. 3. Finally add the white wine vinegar and mix. 4. 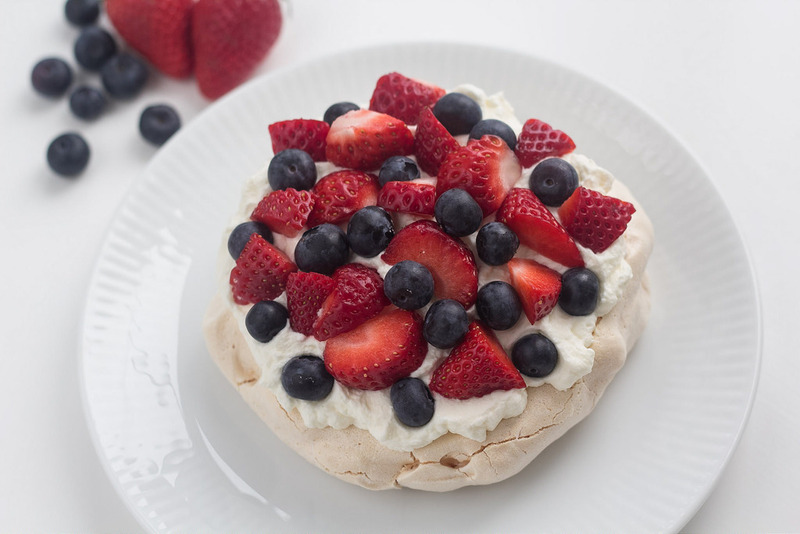 On a parchment paper covered baking tray; Spread the meringue into circles having a diameter of about 8 cm (3 inch). This thickness should be about 2 cm (3/4 inch). 5. 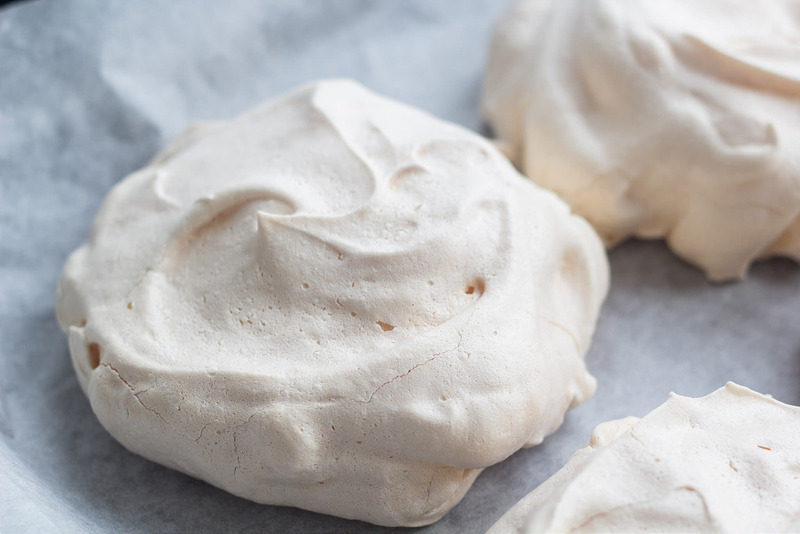 Pre-heat the oven to 180 C (360 F), place the meringues in the center of the oven and then turn the temperature down to 150 C (300 F). 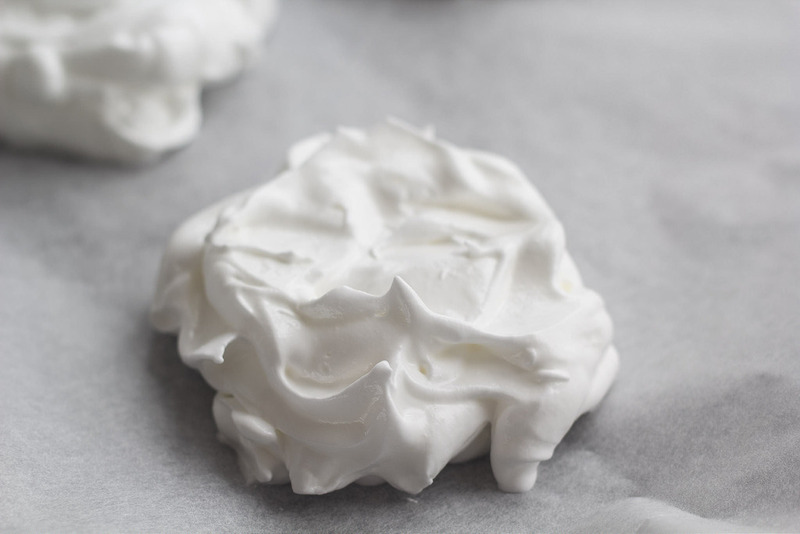 Bake the meringues for about 1 hour and 15 minutes. 6. 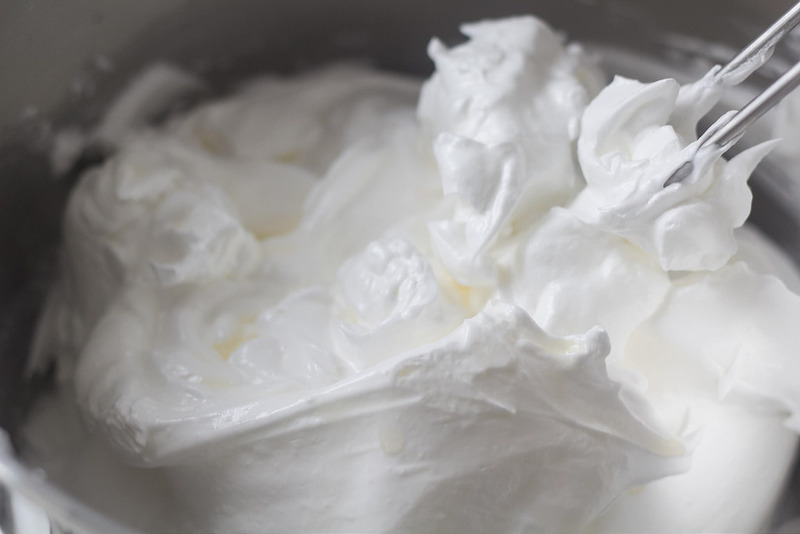 Whip the cream into a whipped cream. 7. Rinse the berries and cut the strawberries into smaller pieces. 8. 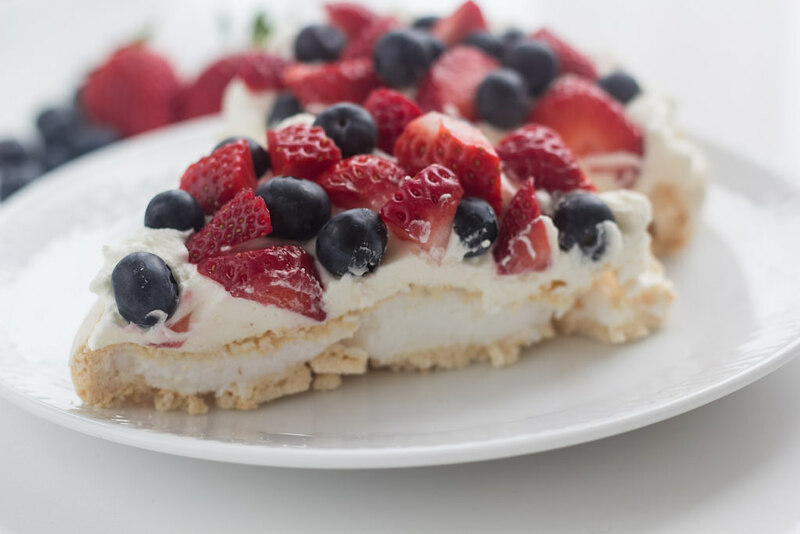 When the meringues are bakes and cooled down; Decorate them with the whipped cream and the berries. Hello Kim, your cake looks beautiful, and I guess it tastes even more than beatiful. One small question, please. Is a lemon juice acceptable instead of vinegar? Hello and welcome to my blog. I’m Kim from Denmark. I enjoy to cook, eat great food and travel all over the world. This blog will mainly reflect my passion for food but you will also find subjects on design and traveling. I hope you will like the blog. If you have any comments I will be pleased to hear from you.